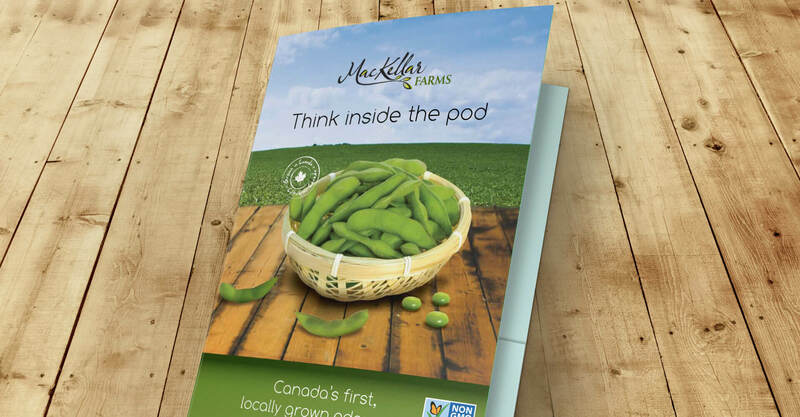 Mackellar Farms is a fourth generation family run farming business based out of Alvinston, Ontario, that specializes in locally grown edamame. They sell their product across the country in a variety of retailers, including Costco. 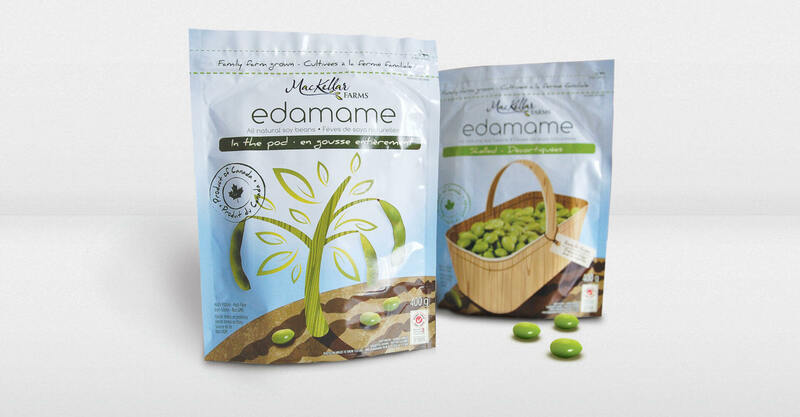 They approached Jump looking for a unique brand and package design for their ‘Shelled’ and ‘In-the-pod’ varieties of edamame that come in re-sealable pouch. 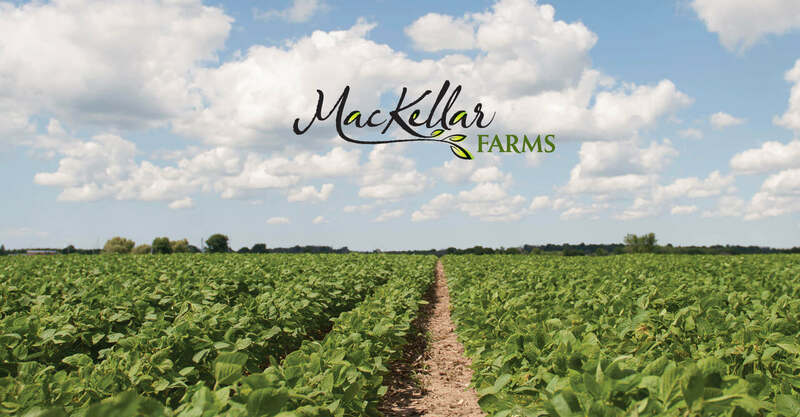 We first set about designing the Mackellar Farms logo with an organic, signature styling to it to evoke the sense of a family business selling an all-natural product. 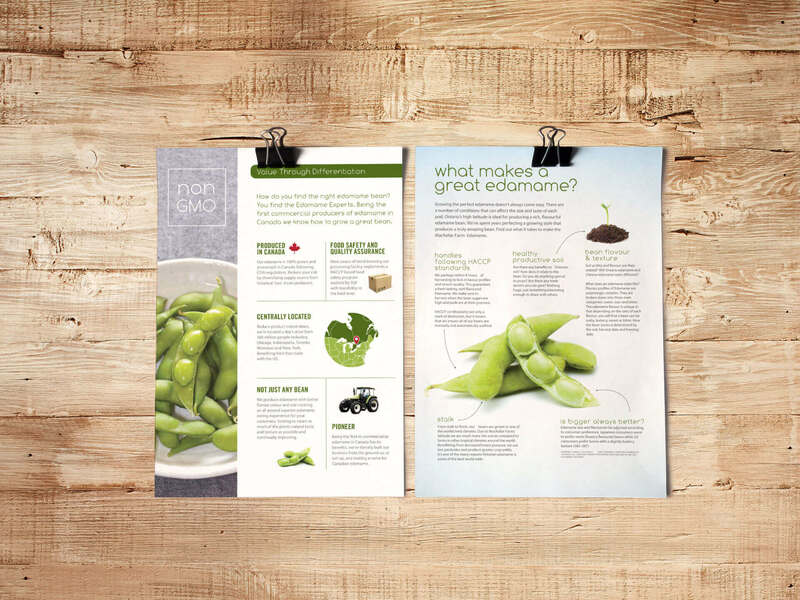 The package design followed suit with an illustrative design that showcases imagery of the product in a natural setting that creates distinction between the shelled and in-the-pod varieties. 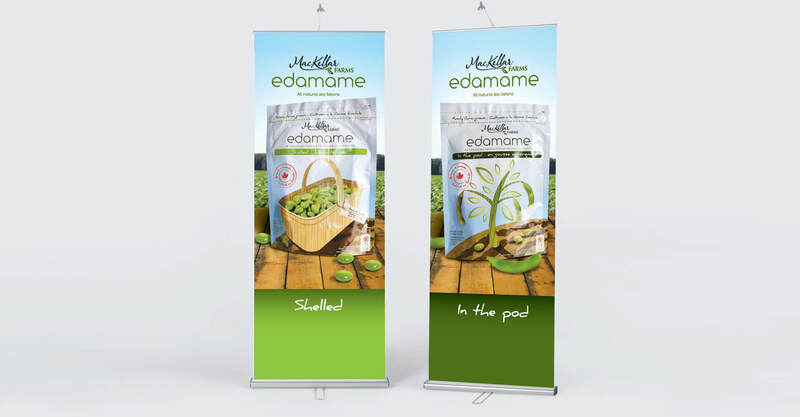 As many consumers aren’t familiar with what edamame is, it was important to showcase the visual of the product prominently on the packaging. 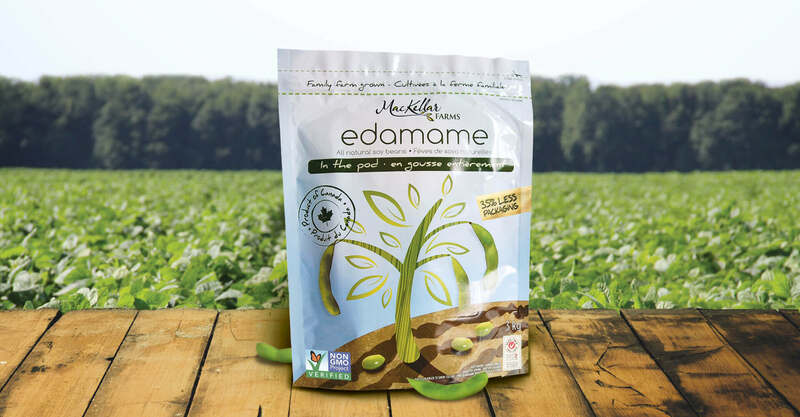 The back panel tells the story of Mackellar Farms and the health benefits of edamame. The business is a great local success story. 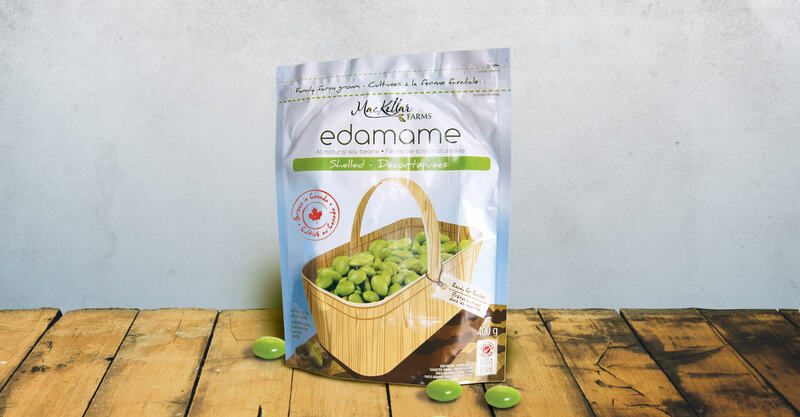 With their first harvest in 2010, their edamame is now available in over 350 stores, across Canada and that figure is growing as more Canadians realize the importance of safe, local food. 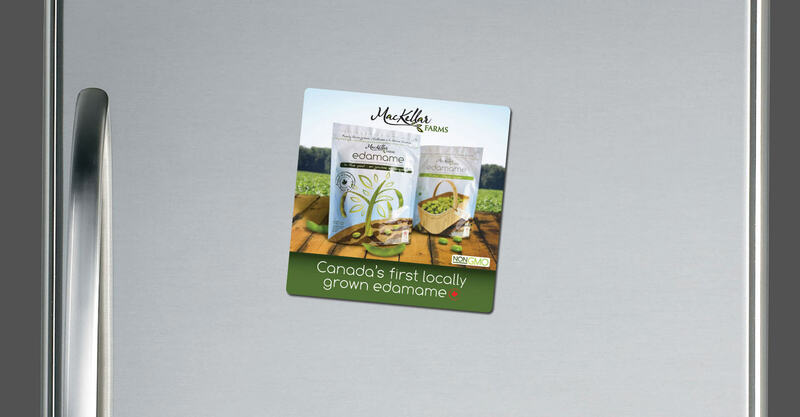 They were recently presented with the Premier’s Award for Agri-Food Innovation Excellence.